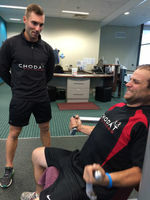 Starting the 21st of May pruchase any Chodat Fitness apparel and receive 25% Off. The sale will run from thr 21st-31st of May. Head to the online store to view our full range and contact us via emil or on 0431 383 411 to place your order. *Limited stock and sizes are availble.